Extraordinary European elegance and craftsmanship define this sunny Tuscan style home with wide open flow design. Gracefully curved staircase sweeps through all the three finished floors. 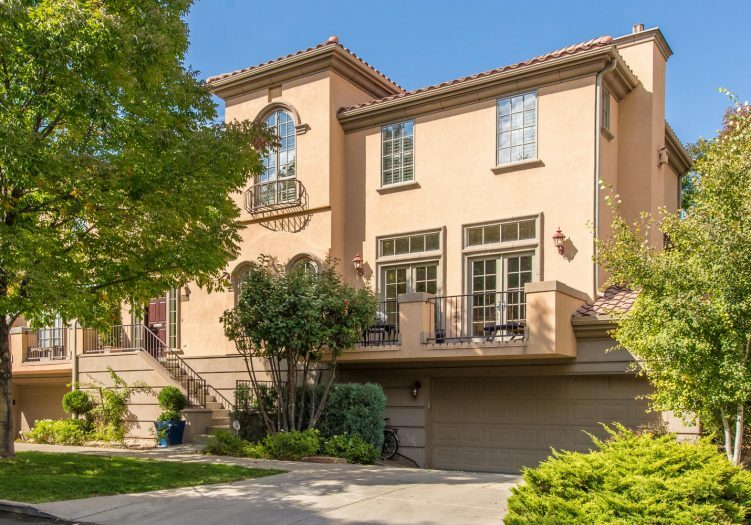 Sunlight streams through walls of French doors throughout the main level, making this property unique to Cherry Creek North. Conveniently located close to many desired amenities, yet quiet and peaceful. Special Features include: Oversized great room with custom stone fireplace mantle, cabinetry desk and storage; Dramatic curved staircase with oak treads and wrought iron balusters open to three levels; Gourmet kitchen with custom European cabinetry, slab granite countertops, Viking six burner gas range, Sub-Zero 36" Refrigerator and Asko Dishwasher; Spacious master suite with custom fireplace mantle and luxurious five-piece master bath with marble floors, slab marble countertops, jet action tub and European frameless glass shower enclosure & a Fully finished lower level with recreation room.